Matt Parkinson has committed his future to Lancashire CCC by signing a contract extension until at least the end of the 2021 season. The 22-year-old leg-spinner enjoyed a fine 2018 campaign, particularly with the white ball, in finishing as leading wicket taker with 18 dismissals in the Royal London One-Day Cup. 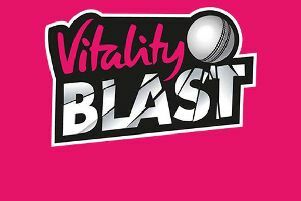 He followed that up with 25 wickets in the Vitality Blast, as Lancashire Lightning reached finals day at Edgbaston, helping to establish himself as one of the leading limited-overs bowlers in English domestic cricket. 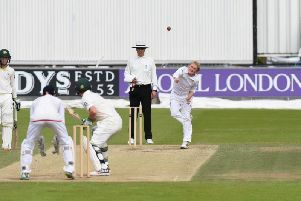 He was also named Lancashire’s One-Day and Young Player of the Year at the club’s end-of-season awards. Parkinson was rewarded for his successful season after Melbourne Stars signed him for the second half of this year’s Big Bash competition. He was also included in England Lions’ squad for their tour of the UAE, only to be ruled out of the latter with a back injury. Speaking after extending his deal, Parkinson said: “It is a great feeling to secure my long-term future with Lancashire, a club which means a lot to me having played for the Red Rose since I was just nine. “I was really pleased with my white ball form last season and hopefully I can continue putting in match-winning performances to help the side challenge for honours next year. Lancashire’s head coach, Glen Chapple, added: “It is great news that Matt has committed his future to the club. “He is an important part of what we are looking to achieve in all three formats of the game.